Aussie cricket fans just cannot get enough of the game. They dream about it, play it on weekends, spend hours watching it on TV and on the mobile when the boss is not looking. 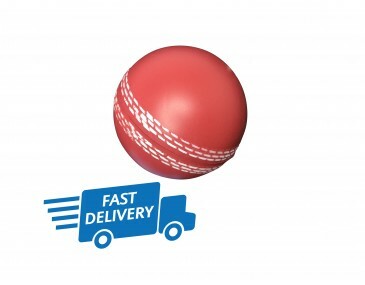 Get your company image into the eye of the cricket fans around the country when you use these fabulous stress balls as part of your next marketing campaign. They make the perfect gimmick and are great stress busters too. Your clients can bash them, smash them and squeeze them and they will retain their original shape and keep on taking a beating. Our cricket balls come in classic cricket colours. The first offers a light body with a bold trim on the seam around the middle. The second comes in a darker shade with light seam. Both identically replicate a real cricket ball in design, feel and look with the raised seam running around the middle of the ball in two sets of three concentric rings. Create a buzz around your company image when you brand your personalised logo onto these stress balls. They are ideal for sports clubs, businesses in the sports industry and any company wanting to promote cricket in our country. Hand them out as fun freebies at school events, club events and corporate occasions. Everybody will want one. Branding is easy to organise with our fabulous designers. Our listed price includes branding of your logo or graphic in a single colour print onto the ball. Please note that our prices exclude GST and a print set up of $75 applies. We delivery in bulk quantities within Australia only.